Pinterest marketing is a growing social media strategy for both B2C and B2B brands. With 71 million monthly active users, Pinterest is the second largest social media network responsible for referral traffic, and 87 percent of active Pinterest users make purchases thanks to the social network’s influence. Americans embraced Pinterest from its inception, spending 1.3 billion minutes between July 2011 and July 2012 pinning content from their personal computers. ShareThis determined that Pinterest replaced email marketing as the third-most popular channel for sharing in the last quarter of 2014. In 2013, Pinterest began rolling out advertising options including Promoted Pins, Cinematic Pins and Rich Pins. As the male population on Pinterest continues to grow (at the end of 2014, one in three new registrants was a male), we’re seeing that the network’s demographic is more diverse than ever – and people are going to Pinterest with business interests in mind. 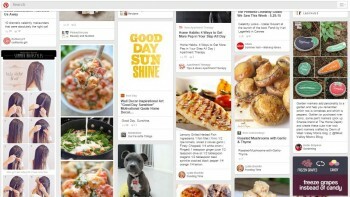 What does a Pinterest campaign look like? Learn how Beauty Bridge’s Pinterest contest resulted in hundreds of new leads. Pinterest marketing campaigns look and feel much differently than strategies leveraged on sites like Facebook and Twitter. The most successful operations deliver images that drive engagement and don’t always focus on the brand, but the community that uses the products.